Plumbing Connection is proud to offer pipe lining in Barclay Downs to home and business owners. Trenchless pipe lining services from our skilled team of professional technicians means you can count on timely, courteous service that repairs your pipe needs without excavation. At Plumbing Connection, we know that your property is your largest investment, and it’s our job to make the necessary repairs to keep your home running smoothly without disrupting your lawn, driveway or home flooring. Barclay Downs trenchless pipe lining allows you to restore your plumbing system to better-than-new condition while avoiding pipe replacement or costly emergency plumbing repairs. One of the best ways to determine if pipe lining services is needed for your system is to schedule routine plumbing maintenance for your Barclay Downs property. Unlike traditional pipe repair methods that call for digging and destroying your lawn, driveway or flooring, pipe lining from Plumbing Connection repairs your system at a fraction of the time and cost of traditional methods. Before you settle for a solution that will leave you with a hefty landscaping bill and a destroyed lawn, consider the benefits of our trenchless approach. 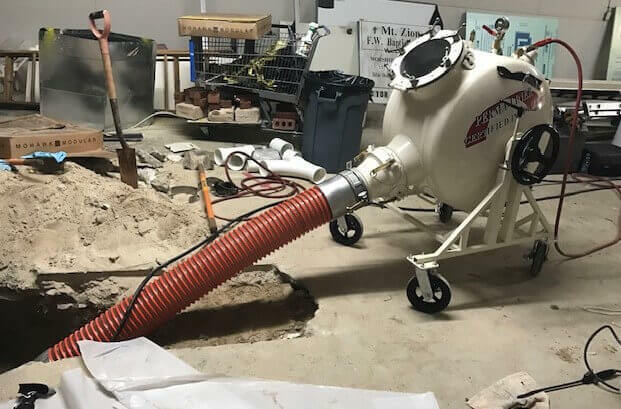 Sewer camera Inspection: Before the pipe lining process begins, our expertly trained technicians will feed a live camera into one of the two access holes created to make the repairs. Our team can accurately pinpoint where the damage has occurred, monitor the pipe lining process, and complete a secondary camera inspection to ensure the job was done properly. Pipe cleaning: The CIPP process is designed to keep the maximum possible diameter of the original pipe. So, before the process can begin, the technicians will complete a thorough pipe cleaning service. The Plumbing Connection technicians will use hydro jetting to thoroughly clear the pipe of any debris, buildup, or invasive tree roots. In just a few short minutes, the pipes will be clean thanks to the extreme water pressure used by the eco-friendly cleaning method. CIPP: The Barclay Downs pipe lining work can now begin. To complete the CIPP process, our technicians will create a small access hole near the affected pipe. A liner is coated with epoxy resin and pushed through the pipe. Water or air is used to expand the liner, pushing the resin into the inner walls of the newly-clean pipe. Heat is applied for the resin to dry quickly and when the liner is removed, the old pipe is restored to like-new condition with a new lining. After just a few hours, the entire pipe lining process is complete. Your plumbing system is back to normal and the integrity of the affected pipe is now restored. Age and continuous use create natural corrosion on even the most resilient pipe material. That corrosion can eventually lead to pipe bursting or leaking. If not treated immediately, the leaking water and sewage can cause damage to the foundation of your home or your yard. For efficient, long-lasting pipe lining in Barclay Downs, the Plumbing Connection team is the one to call. Without destroying your lawn or taking days to complete the project, our technicians can utilize the trenchless pipe lining method and make the repairs that will save you money each month and extend the life of your system. Your family depends on your plumbing system to run efficiently, so pipe repair must be performed by trenchless pipe lining specialists. The CIPP lining process is accurate. This trenchless method prevents further plumbing damage from occurring. With the camera inspection completed before and after the repair, our technicians in Barclay Downs are sure to properly complete the job. The Plumbing Connection team is available for any pipe lining your property may need. Our friendly staff is ready to schedule your appointment today.